Kim's unexpected departure three years before his term was set to expire is likely to set off a fierce battle between the Trump administration and other countries who have complained about the influence the United States exerts over the World Bank. "I have therefore decided that it's time for me to take on new challenges and fully focus my efforts on leveraging private finance for the benefit of people around the work," Kim said in his note to staff. Kim's departure will give President Donald Trump the opportunity to nominate his own choice to fill the World Bank post. Kim, the former head of Dartmouth College, was first tapped by former President Barack Obama to lead the World Bank in 2012. He was nominated by Obama for a second term in August 2016. That term would have ended on June 30, 2022. In his resignation statement, Kim said that in addition to joining a firm that will focus on increasing infrastructure investments in developing countries, he will also rejoin Partners in Health, an organization he co-founded more than 30 years ago to provide medical support to poor nations. 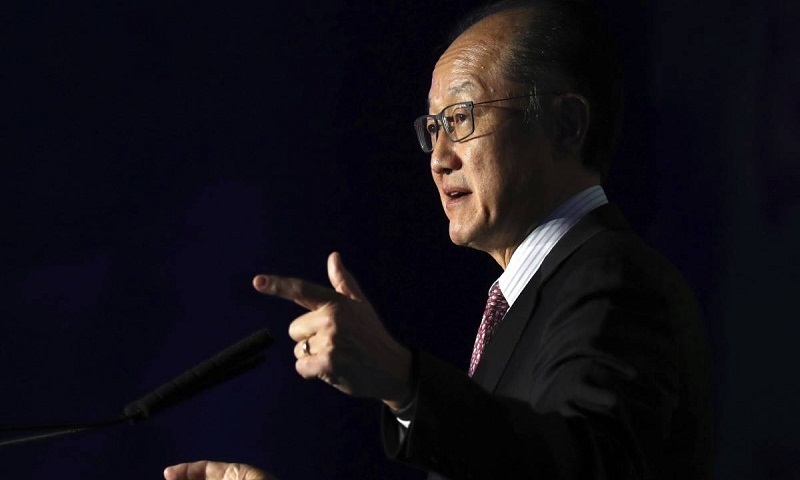 The World Bank said Kim will be succeeded Feb. 1 on an interim basis by Kristalina Georgieva, its chief executive officer and the bank's executive board would immediately start the process for selecting a permanent successor to Kim. Treasury Secretary Steven Mnuchin looks forward to working with other countries on the bank's 24-member executive board to select Kim's successor, a Mnuchin spokesperson said.